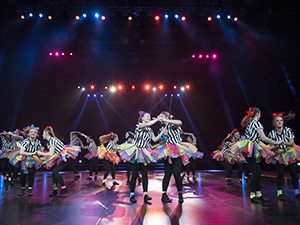 Step into the Limelight is the major arts showcase event for ACT public schools. Beginning in 2007, Step into the Limelight has grown to become the largest youth Arts event in the ACT. This event is unique to the ACT - no other state has an arts showcase event which covers each of the five art forms of dance, drama, media, music and visual art. 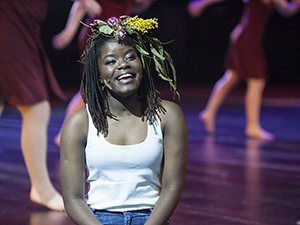 Limelight provides quality performance, enriched learning and talent development opportunities for students studying the arts in ACT Public schools. The production has been recognised by ACT Children’s Week and the Canberra Area Theatre Awards for the integral role it plays in linking schools with professional arts organisations and providing vocational pathways in the arts for ACT students. More than 2000 students from all sectors of our system participate in these events, spending the months prior working closely with their teachers, professional artists, tertiary institutions and arts organisations to develop outstanding artistic works for the events. Step into the Limelight comprises two events: an Art Exhibition and a Gala Showcase. The Art Exhibition opens in the last week of July and runs for two weeks. Held at the ANU School of Art Gallery, Ellery Crescent, Acton, the exhibition showcases a wide range of student work in a variety of media. This exhibition will include work from students from pre-school to year 12 in painting, drawing, ceramics, lino-print, collage, photography, textiles, and wood and metal craft. 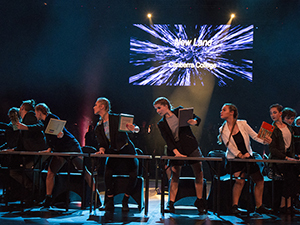 The Gala Showcase runs during Week 6 of term 3. 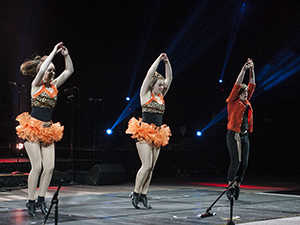 Over two nights at the AIS Arena, audiences are entertained with an eclectic mix of performances from the ACT Senior Concert band, string, percussion, rock, jazz and choral music groups, dance, drama and musical theatre performances and works from student film-makers. Further information regarding these events, including entry forms, can be accessed at ACT Instrumental Music Program website.